Make yourself resolute with the idea that you will win whenever you go on a mission, and you can win even if it is not so realistic. Our idea of the quintessential ninja is a little short of historical reality. In fact, what does the average person really know besides that they dress in all black and are masters of stealth and assassination techniques? They didn’t use magic, they couldn’t walk on water, and their primary goal was not to kill or be killed. 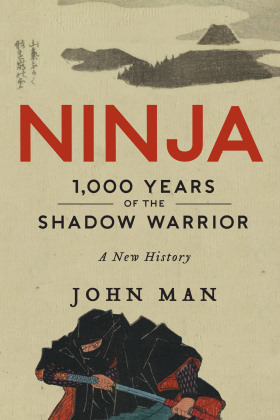 John Man’s new book Ninja: 1,000 Years of the Shadow Warrior traces this order through history — from the first proto-ninjas to the true ninjas’ rising prevalence in Iga and Kōga in Japan and their fall and final years. Much of the foundation of ninjutsu (the way of life) came from Chinese origins, and the ninja were more concerned with survival than their flashier counterparts, the samurai, who chose self-sacrifice and would commit seppuku, or suicide by disembowelment, rather than face defeat. A ninja’s objective involved gathering information and relaying it back to his employer, where it could be of use — and that couldn’t happen if ninjas charged in on enemy territory, prepared to die. Black wasn’t even the necessary go-to color for a ninja. 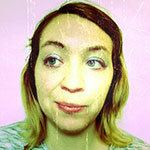 Brown worked just fine, too, and dark blue was preferable under moonlight. They weren’t sell-outs who took any job as long as the price suited them. Ninjas believed in a cause. Many doubled as samurai (and vice versa), but they did more than sneak into castles night after night. They were farmers who built up other expertise, such as medicine. When peace took hold and their occupation was in danger of vanishing completely, that’s when they opened their teachings to the world and started writing them down. Some of the most fascinating aspects of Man’s book regard the myths and legends — the stories and rumored ninja tricks and equipment — which he analyzes and debunks. For example, he examines the falsity of how ninjas could tell time by looking at the eyes of a cat, dispels the belief that ninjas could walk on water with special shoes called “water spiders,” and picks apart the tale of the resourceful ninja dwarf Ukifune Jinnai. The best part is saved for last: the story of the “last of the ninjas,” Onoda Hiroo, who survived in the jungle for 30 years, believing World War II hadn’t ended. Ninja is quite the meandering history book, however. Sometimes the writing is utterly engrossing, and you can’t pull away from the page. Other times, you’ll find yourself needing a timeline or a sidenote that reminds you how certain sections are relevant to ninja history. That’s usually when the book strays from Man’s unique and compelling interview reporting — a first-hand investigation complete with observations and honest reflections as the author learns from his visits and conversations with sources — and turns into a textbook. Ninja switches back and forth between being an amazing reference, perfect for pop-culture enthusiasts who want an accessible dose of history, to a dry academic read. Bottom line: I greatly enjoyed my time with Ninja, but it’s not as much of a direct feed on ninjas as I expected. It can be fun, but it digresses too much into battle stories and other historical developments that the author only loosely connects back to the subject at hand. Readers will likely feel lost at times. What I liked: The emphasis on first-hand reporting, discrediting (or recounting) myths and legends, and the in-depth profile of Onoda Hiroo. What I wasn’t expecting: A lot of talk of “ninjas” who weren’t really ninjas.